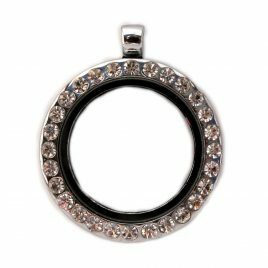 Round Gemmed Locket Silver Color Gemmed Large (30mm) Holds 7-12 charms. Large (30mm) Alloy/Rhodium Plated Silver Color Round Shape Holds 7-12 charms. Large Disks DO NOT fit in this locket. 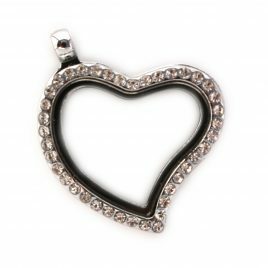 Slanted Gemmed Heart Locket Silver Color Gemmed Large (30mm) Holds 3-7 charms. 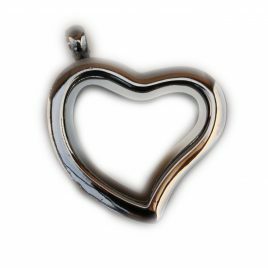 Slanted Heart Locket Silver Color Plain (not gemmed) Large (30mm) Holds 3-7 charms.